A separate charitable trust has been set up, in conjunction with the St George’s Hospital and the St George’s Cancer Care Centre, called the St George’s Cancer Institute. It raises funds to provide cancer services at the Centre. Established in 2008, the St George’s Cancer Institute aims to raise funds for the purchase of innovative equipment and technology to benefit the patients at the Centre. The equipment is leased to the St George’s Cancer Care Centre at commercial rates, and all income from this goes towards patient services and support grants. Cancer is main cause of death. One in three Kiwis will have some experience of cancer, either personally or through a relative or friend. 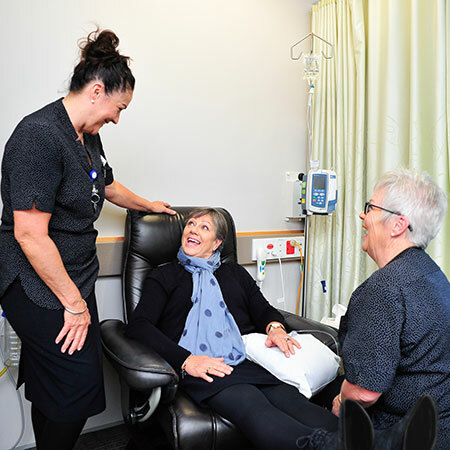 If you’d like to help us caring for the patients and their whanau, you can contribute to the St George’s Cancer Institute’s fundraising efforts. There are three ways to donate to the St George’s Cancer Institute. Simply fill in a donation card and return it to us.